Shinju-an was founded in 1491, in honor of the Zen priest Ikkyu, who was the head priest of Daitoku-ji from 1474- 1481. 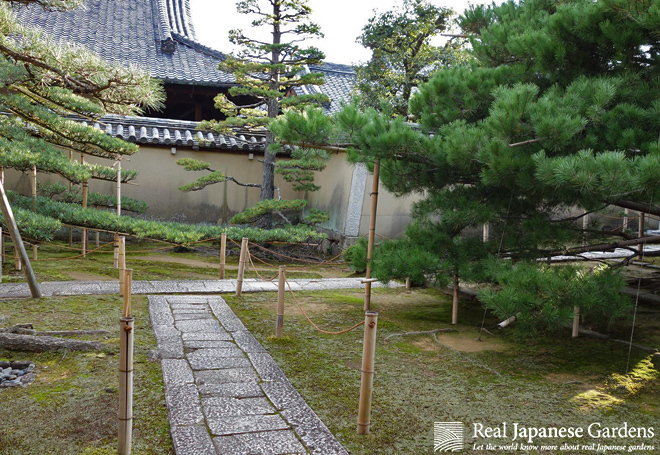 Ikkyu played the main role in reviving the Daitoku-ji temple complex after its destruction in the Onin war. The dry landscape garden and tea house were built in 1638 and are attributed to Kanamori Sowa, who was a tea master from the Japanese Alps. Bus: Take the bus 205 or 206 and get off at the stop ‘Daitoku-ji’. Subway: Take the Karasuma line to Kitaō-ji station and walk about 15 minutes in a westward direction.